Wireless (LAN or Cloud) control via phone/tablet app or browser. 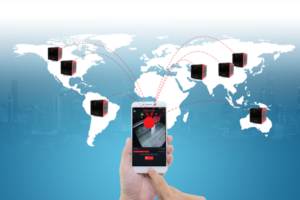 Monitor and operate your printer from anywhere in the world at any time. Remote production or print-control? It is your call! Automatic switch to a full reel when out of filament for continuous printing or pause and messaging on filament problems. Never loose a print because no filament or entangled filament and always use up your entire reel! 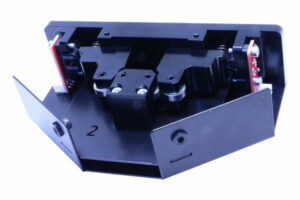 Temperature control, keeps warping at bay, especially useful when printing more high-tech materials. Buildplate: Fixed glass buildplate Swappable buildplate: Swap your buildplatform easy for different printjobs and materials. Materials/Filament PLA, ABS, PET-G, FLEX, HIPS, PVA. Starter kit with all the tools and parts you need! 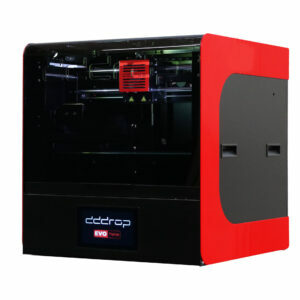 Smart dddrop 3D printer in your network or make a connection with the Cloud. It has all the connectivity you can wish for: WiFi, LAN, Hotspot and USB. 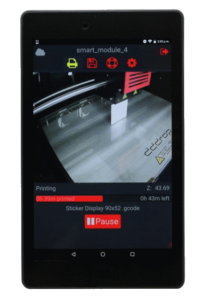 This way dddrop makes 3D printing as easy as possible for the user. You just choose a file and start the print job.